Here’s a quick quiz for Federal Agency senior executive program directors and policy makers, both career and appointed. That you couldn’t implement a needed change because of the union? That the union can drag out bargaining on changes forever? That we’ve tried that before and the union filed all kinds of unfair labor practices and grievances, so we didn’t implement? That the collective bargaining agreement prohibits what you want to do? That we have to discuss that with the union and get their views before we can even propose it? That we don’t want to stir up the union unless we absolutely must? If your Agency has a union representing employees, and the answer to any one of the above is yes, read on. If the answer to all the above is no, get in touch with me. I want to tell the rest of federal executives that they need to go to work at your place. Because I still work at Federal bargaining, consulting, training, and writing, I get a lot of questions from Federal managers about dealing with unions. I recommend one or more of the following to the folks I talk with. For a quick free overview of Federal labor relations, the Congressional Research Service did a nice job on pages 30-42 in a report titled Federal Labor Relations Statutes: An Overview. 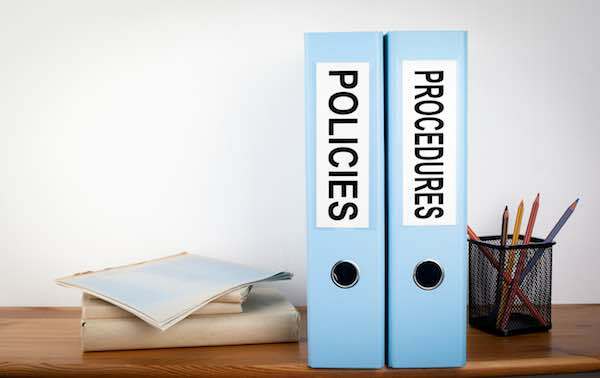 Most Federal agencies have a labor relations instruction, directive, or written policy. These are usually old and really aren’t policies in any real sense but that’s OK for your continuing education. Get it and take a look. Read the above and make notes in the margin about anything that is not intuitive or that doesn’t address the day to day labor relations you hear about at your organization. Your Agency will have at least three people who get involved in labor relations intimately because all or part of their job is to represent the Agency in dealings and disputes with the union. Your group should include as a minimum the Labor Relations Director; whoever is the Agency chief negotiator and signs memoranda of understanding and/or contracts with the union and has been to mediation or impasse, if more than one, ask them all; and whoever in the chief or general counsel’s (yes, there’s a difference) office who has been assigned the most unfair labor practice cases, or arbitration hearings, and negotiability cases. Offer inducement, chocolate always works, and let them know, in advance, that you’ve been studying up on labor relations and have questions. In addition to general knowledge questions and whatever Agency specific data you’d like to know, here are some questions whose answers I also guarantee will surprise you. Who is your principal when you’re negotiating or representing the Agency? Who cares about labor relations issues here? Who picks, approves negotiating teams? Is there usually a plan to open negotiations? Who usually sets the tone for a negotiation? Do you generally get clear expectations from the principal? Is there a pattern to the union’s expectations? What determines who has leverage? How does it vary by issue? Do you generally start out with a plan to get out of negotiations? Who decides whether we settle or continue a dispute? Federal Agency leadership rarely plans for labor relations. I’ve only seen a few (they’re the successful ones) who have a comprehensive, cohesive policy for dealing with unions, negotiations, and cases. I wrote an article for FedSmith about 10 years ago suggesting the following. I think the advice is still good. 1. Get organized and create a CBO. Identify key decision makers in the organization that set policies affected by collective bargaining. Name a Collective Bargaining Official(CBO). The CBO is a senior executive or manager who is involved in decision making and can be trained to recognize issues with labor relations consequences early in their development. This helps avoid getting so far down a road on issues that adjustments cannot be made without excessive costs or delays. Get your key players together to discuss how decisions will be made. The middle of negotiations or hearing is not the time to do this. 2. Get a real strategy. Few, if any, Federal agencies have a realistic labor relations strategy. Most have a policy which says little and hasn’t been revised since 1978. The strategy should address delegations of authority, medium to long term negotiation goals and how labor relations issues will be handled within management. Additionally, agencies have opportunities to shape their policies legislatively. FAA, DHS, DoD, and others have unique labor relations statutory language. Unhappy with 5 U.S.C. 7101 and following? Write your own rules or customize the statute to suit your needs, if you can get it passed (Try appropriations bill language, that’s what DoD does). 3. Present a single face. The rule should be “one unit – one exclusive spokesperson”. This is the most often broken rule in government. Everybody in management believes themselves to be savvy, skilled negotiators and, of course, smarter than the union. Union reps frequently share information which is more than almost any management group I’ve ever worked with does. As a result, the union knows much more about what’s going on than any manager. A single spokesperson can ensure that information actually represents the sender’s intent whether coming or going. 4. Decide what relationship you want or is possible and follow through. The continuum from “Give ‘em nothing and make it retroactive” to “Find out what they want and give it to ‘em ‘til they beg you to stop” is a vast one. I personally favor “professional, courteous, contractual and legal” as the four corners of a productive relationship. While Agencies and unions may share certain goals, essential differences are inevitable. This is particularly true in government, where neither profit nor employee benefits are job one. 5. Teach labor relations and get managers in line. No one should be able to supervise or manage bargaining unit employees without specific ongoing training. Additionally, line managers dealing with unit employees should go to “finishing school” to learn what they can and cannot say, what they cannot do without higher level clearance and the consequences to the agency and them if they get out of line. Most of the litigation in Federal sector arises from ignorance of laws and contract obligations. Although expansion of the law through litigation has been the hallmark of certain FLRA GCs, it usually couldn’t be done without a management mistake to create the opportunity. I hope you find the above useful. BTW, it’s my opinion and doesn’t necessarily reflect anyone else’s views. It would be nice, however, if someone agreed.